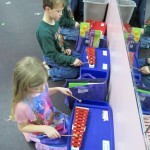 Throughout the Kindermusik process, your child has been learning the beat, rhythm, rhyme, and the appreciation of music. 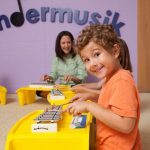 Now that your 5-7 year old is learning to read, he or she will be interested in learning to play the glockenspiel, reading notes, and learning about composers in an engaging way. 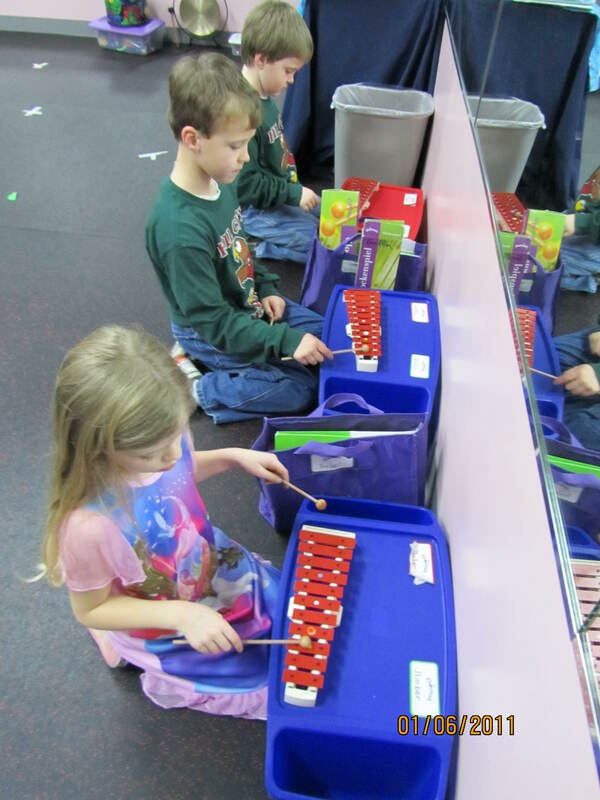 Through games, stories, and dances, young children can gain a solid musical foundation that prepares them for private lessons. 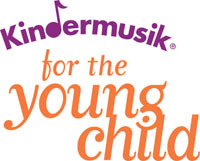 Using a small-group approach to music education, Kindermusik Move and Groove provides a pressure-free class where your child can develop a strong musical foundation by learning the concepts, language, notation, and vocabulary of music and its greatest composers. The program prepares the young child who is eager for first experiences with musical symbols and instrument discovery but is not yet ready for formal lessons and traditional music reading with an instrument. Parents or caregivers attend the last 10-15 minutes of class. Young Child prepar es the 5-7 year old who is eager for first experiences with musical symbols and instrument discovery but is not yet ready for formal lessons and traditional music reading with an instrument. Singing and vocal development — It may sound like a foreign language when a child sings “ta” and “ti-ti,” but this is the language of professional musicians and composers and getting young children ready to read and write simple rhythm p atterns. Your Young Child will Learn Amazing Music, Learn more!